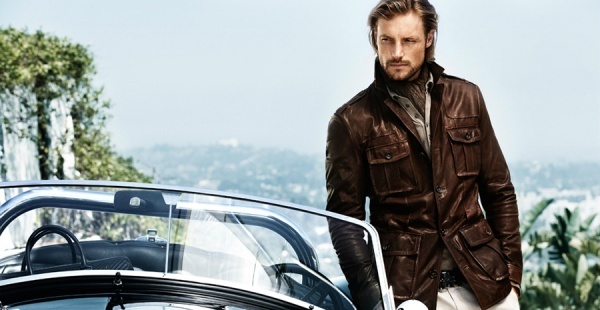 Hugo Boss are a brand synonymous with fine suiting. However, despite being such an established label, they sometimes fall under the radar for guys looking for great suits at reasonable price points — which really is a crying shame. Not only are you getting value with Boss suits, but you’re going to get a suit that is designed specifically for your body type, thanks to the brand’s several lines. The strongest point of this collection, and something that Hugo Boss does extremely well season after season, is bringing the perfect amount of modern flare into relatively conservative suiting. We are particularly fond of the wider jacket lapels and spread collar shirting this time around. This entry was posted in Accessories, Belts, Blazers, Collections, Dress Shirts, Feature, Footwear, Knitwear, Misc, News, Outerwear, Pants/Bottoms, Sportcoats, Suits, Ties, Tops, Uncategorized and tagged 2012, Hugo Boss, Lookbook, Spring, Summer. Bookmark the permalink.